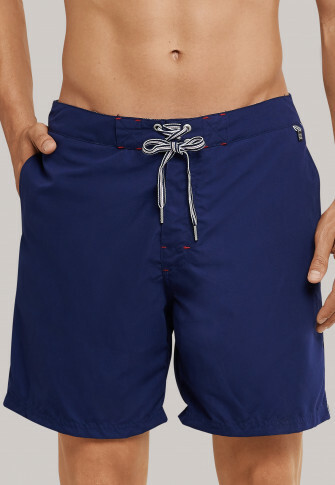 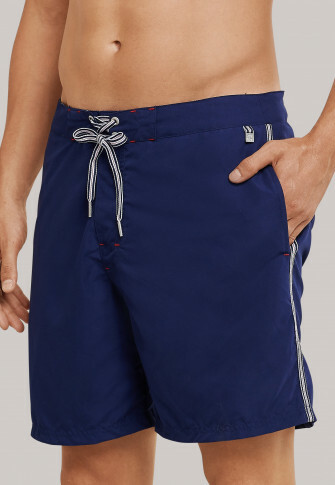 Athletic and elegant - these dark blue board shorts are always the right choice, gentlemen! 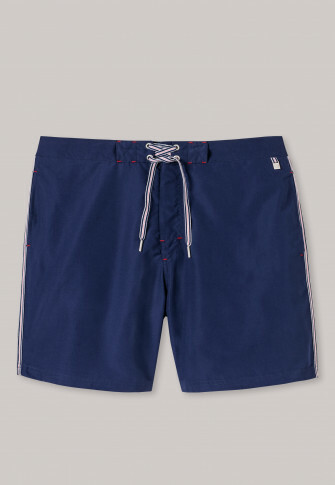 Whether at the pool or on the beach, with their close-cut fit, these swim trunks look great any time and have added fashionable highlights with the red stitching, decorative ribbons in red, blue and white along the sides as well as the patterned inner waistband. 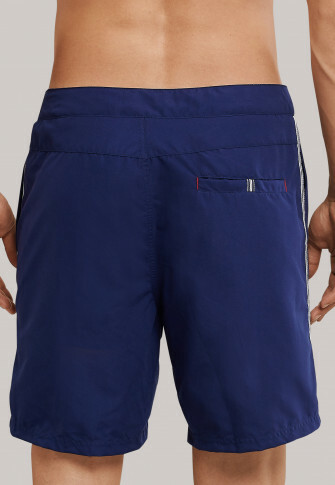 The waistband can be easily adapted to personal needs with its flexible lacing. 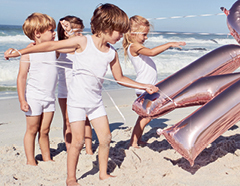 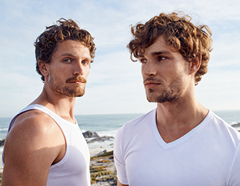 A summer favorite in best SCHIESSER quality!